Diversified physicochemical injuries trigger Charnoly body (CB) formation as pleomorphic, electron-dense, multi-lamellar stacks of nonfunctional mitochondrial membranes in the most vulnerable cell. Free radicals induce downregulation of mitochondrial DNA, microRNA, AgNOR, and epigenetics to trigger CB molecular pathogenesis. 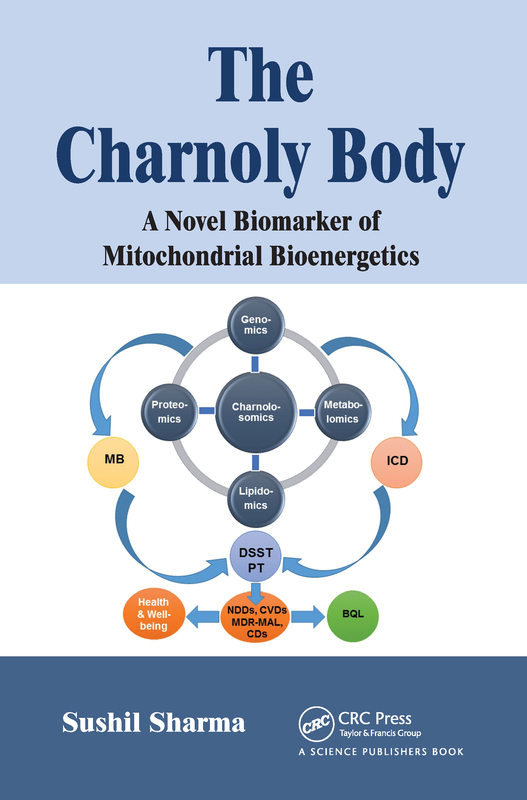 CB is eliminated by energy (ATP)-driven lysosome-dependent charnolophagy as a basic molecular mechanism of intracellular detoxification to prevent acute and chronic diseases. Accumulation of CB at the junction of axon hillock and charnolosome (CS) at the synapses causes cognitive impairments; whereas, nonspecific induction of CB causes GIT stress, myelosuppression, alopecia, neurotoxicity, cardiotoxicity, and infertility in multidrug-resistant malignancies. Hence, stem cell-specific CB, charnolophagy, and CS agonists/antagonists are introduced as novel charnolopharmacotherapeutics for the successful treatment of cardiovascular diseases, neurodegenerative diseases, infectious diseases, drug addiction, and cancer. Nanoparticles to improve drug delivery, CS exocytosis, and disease-specific spatiotemporal charnolosomics employing correlative and combinatorial bioinformatics boost mitochondrial bioenergetics through balanced diet, exercise, and antioxidants. The book will be of interest to medical scientists and practitioners.